All this past month the big business story has been about shopping. Would Black Friday remain black? Is Cyber Monday still a phenomenon? How will in-store sales fare? Well, the numbers are now in and they have some interesting clues for content marketers about how we should be promoting our content and marketing our businesses. Here are some intriguing shopping statistics and 3 big lessons we can draw from them. According to Forbes magazine, Black Friday 2014 online sales grew 20.6% over Black Friday 2013. Mobile shopping comprised almost a third of that, with 30.3% of online sales done on phones and tablets, up from only 22.5% on Black Friday 2013. On Cyber Monday e-commerce revenue was up 15.4% over Cyber Monday 2013, and orders were up 15.3%. Mobile shopping accounted for over a fifth of online shopping on Cyber Monday 2014 – 21.9% of orders. That’s a significant jump from only 15.9% on Cyber Monday 2013. This according to Custora, a predictive marketing platform. Yep, email. Email marketing was the channel driving most online sales on Black Friday, when it accounted for 27.3% of sales and 23.1% of orders. Cyber Monday exhibited a similar trend, though less pronounced – with email marketing driving 23.9% of orders that day. And email played a major role in driving in-store traffic too. Beyond email, Reuters reported that on Black Friday, 8.9% of online sales originated through free search, and 18.5% through paid search. Cyber Monday saw free search 18.8%, and paid search 16%. For the holiday weekend, the story is similar, free search 19.4%, and paid search 17%. Perhaps the most intriguing news about local search comes from ShopperTrak which surveys traffic at bricks-and-mortar stores. They found that sales on Dec. 6 (Super Saturday) were 3.4 percent higher than the first Saturday of December a year earlier. And what did they say was driving in-store sales? 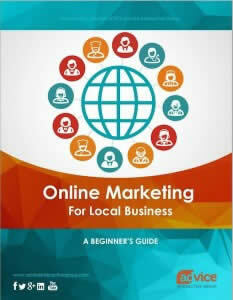 Local search first, then email and mobile. It turns out that this has been going on all year. According to a March 2014 Gallup poll, instead of eroding in-store sales, mobile has encouraged shoppers to buy at in-store locations. 59% of survey respondents claim that mobile technology hasn’t changed how they do their in-person retail shopping. In fact, using smartphones to comparison shop onsite often means that people will buy where they are instead of leaving to save a few dollars elsewhere. Furthermore, 22% of the Gallup respondents said they are shopping more frequently in person because of mobile technology. Younger people (18 to 29-year-olds) are almost twice as likely to be in that 22%. Of those, about 29% say mobile has increased their in-store shopping, while only 15% say mobile has decreased their in-store purchases. The icing on the cake? Deloitte Digital found that consumers who use mobile technology not only are shopping in person, but spend about 40% more than those who don’t use mobile technology. Be sure your content marketing makes use of adaptive technology so it displays properly on mobile devices and across an array of operating systems. Scale illustrations so they work for viewers who are using smaller screens. Maximize both online and in-store sales by a smart use of local search, both organic and paid. Create content that educates consumers so they understand the value of your products and services. Offer location-based promotions to capture mobile users who are in your neighborhood at the moment. And a bonus tip: Avoid making assumptions about how consumers use technology. As more people become more comfortable with digital devices, patterns shift and opportunities arise that may not have been available just months earlier.